Barbara Sulfridge receives the first Dept. of Florida Associate of the Year Award from DoF Commandant George LaMont. 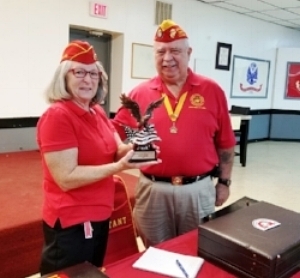 Barbara’s home detachment is Daniel J. Daly Detachment #1002, Shady Hills, Fl.